Bringing community together to give back and support local causes is exactly what my friends at Modern Fort represent. Each month they support a different cause and for the month of June they are supporting the BC Professional Fire Fighters’ Burn Fund and Young Burn Survivors Camp. More than 3800 professional fire fighters from fifty-one communities in BC and the Yukon are building the Burn Fund’s vision by dedicating their time and skills to support burn survivors. When I was in grade ten a very good friends cousin burnt his face. He was 13 years old, and just entered high school. The fire happened in his science classroom but I can’t recollect the exact details. I do however, vividly recall the visit to the hospital; the white bandage wrapped around his entire face except his eyes, and the family holding back their tears to show strength for him. I remember feeling at a complete loss for words. My heart broke for him, and his family. I’m not to sure what happened to him afterwards, or how his healing journey went, but I can tell you that the scars on his face, like any other burn survivor, most certainly leaves emotional damage. Modern Forts goal this month is to raise funds for the Young Burn Survivors Camp so children that are affected by burns can connect with peers that have gone through similar experiences. 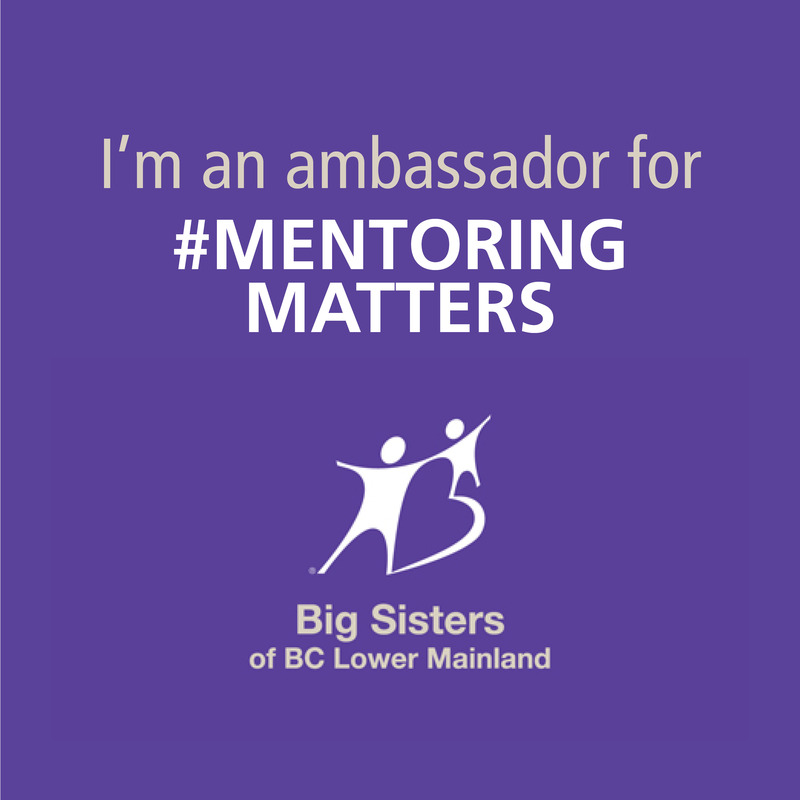 This camp helps hundreds of young burn survivors from all over BC. Their mission is to shed light on a negative situation, provide a sense of community, a place where they can leave their worries, make new friends, and have fun. On Saturday, June 27th Modern Fort along with the amazing author of “The Love List,” Elena Murzello are proudly hosting a “Summer Street Soirée”. This soiree will include a lot of talented local vendors who wish to help make a difference in the community, specifically the Young Burn Survivors Camp. 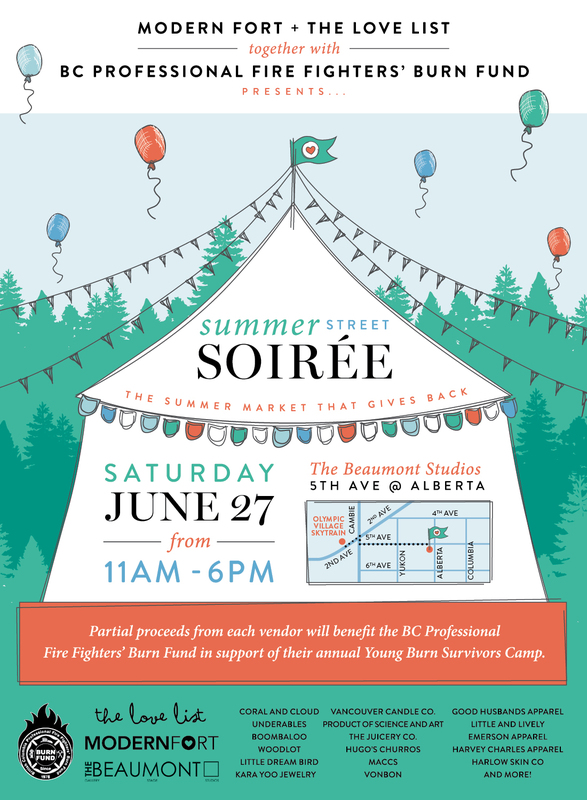 The Summer Street Soiree is a family friendly event with local businesses getting together to make big differences! The day will include over twenty retail vendors, food carts, food trucks, live music, a DJ, face painting and more! Partial proceeds from each vendor will be going towards the cause. I hope to see you at this fun community outdoor event in support of The Young Burn Survivors Camp.